Find out more on how to start accepting payments with Apple Pay today! 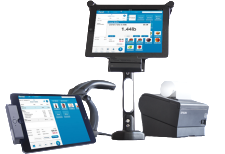 The most powerful iPad POS in the market. Stop throwing your money away! Get your FREE quote today!